Little Mix seem to be dominating 2017 thus far, and we're totally cool with it! Who's got the power? Little Mix sure has! British pop group Little Mix seem to be having an incredible year so far. With a string of hits already dominating radio airwaves around the world, they seem unstoppable. Even though their success seems to be paramount this year, it has taken the group a long time to crack the US market. 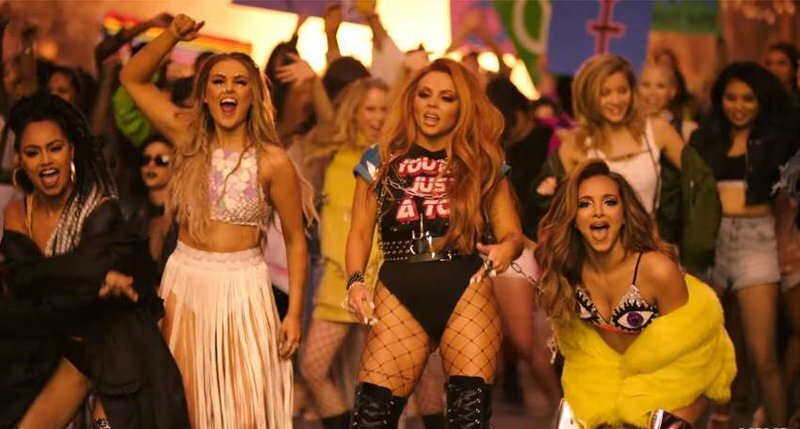 Their latest album, 'Glory Days' has delivered a number of chart-topping tracks such as 'Shout Out to My Ex', 'Touch' and now 'Power'. They have not only resonated with audiences around the world but they have come back with a fresh new image and powerful sound. The latest single and video feature rapper Stormzy, who adds a nice 'touch' to the track. See what we did there? This video is stunning and the girls bring their A-game!